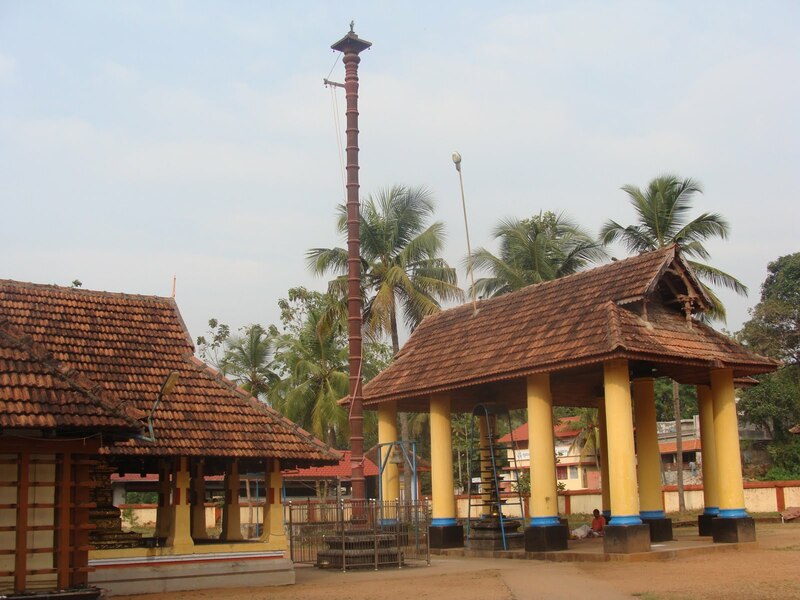 Located 10kms North East of Ernakulam, close to the Science and Technology University near Edapalli is the 1200 year old Thiru Katkarai Appan Divya Desam where Lord Vishnu displays his Vamana Avatar to the devotees. 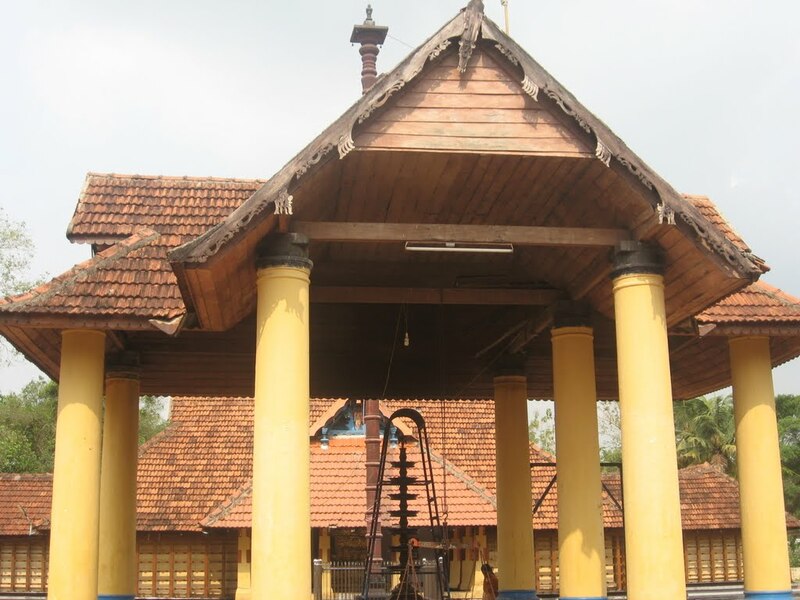 The story goes that Lord Kaatkarai Appan came here as a Vamana Moorthy to end the troubles caused by King Bali. 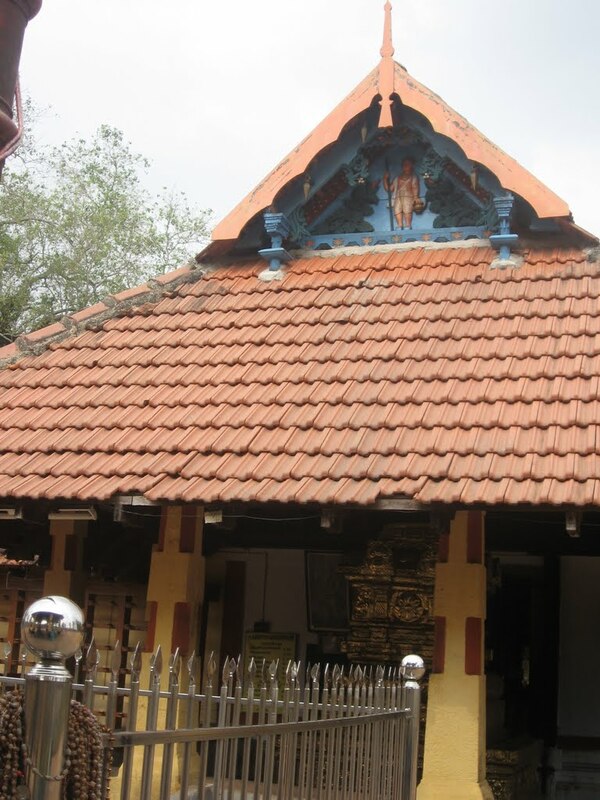 To mark this event, it is believed that Lord Vishnu visits this Divya Desam every year on the Thiruonam day in Aavani. This is known as a Vamana Kshetram. 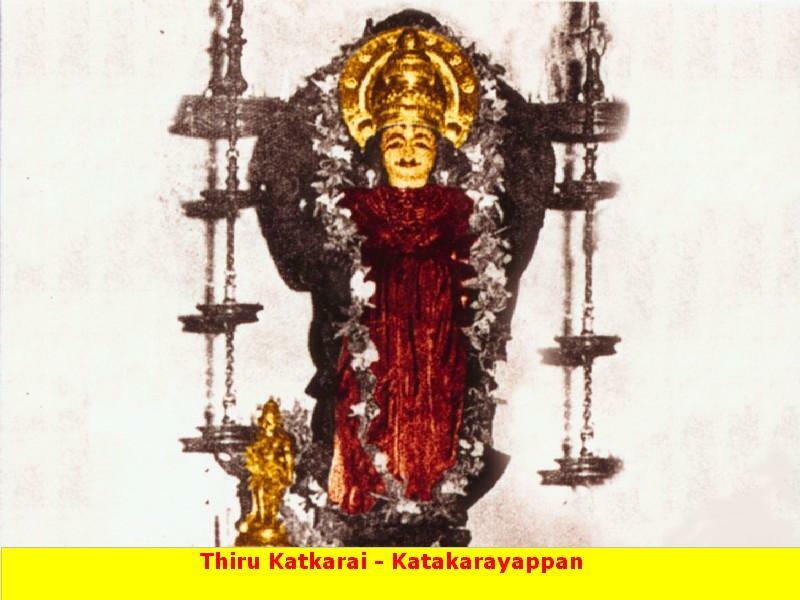 Katkarai Appan is seen with Conch, Chakra and Padma Hastam. Bali is said to have invoked Lord Shiva every day. Hence, one can see a Paramasivan Sannidhi to the right of the Perumal Sannidhi, with Bali seen invoking the blessings of Sivan. Kerala is famous for Bananas and especially for a particular typed by named "Nenthiram". This banana has a closer relationship with this sthala perumal. 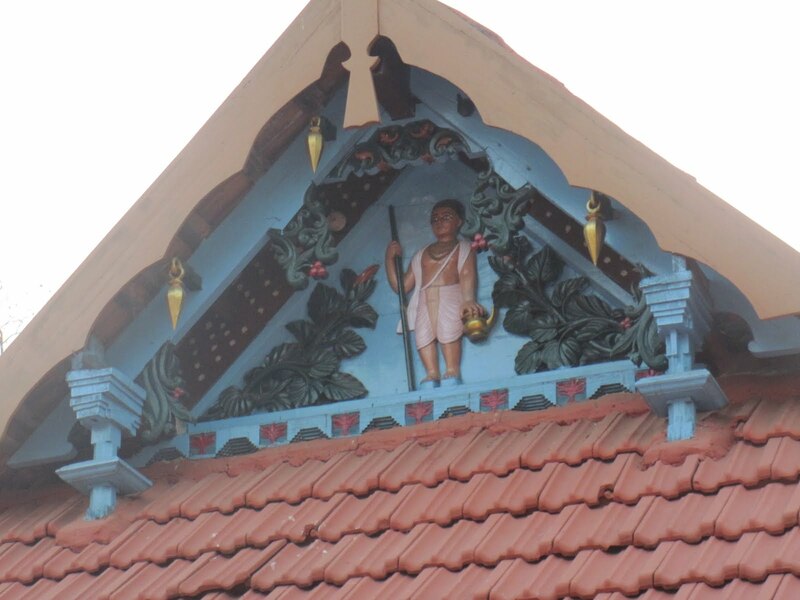 Once, a bhaktar (devotee) of the perumal, had a big land where the banana trees are planted. But, it doesn't give him any yield and doesn't give him any bananas. The devotee at that felt, that it might be some wrong thing he might have done and as a result of this only, the trees are not giving him the proper yield. So, he decided, the sight of the perumal fell on banana trees and from that time, it gave him lots of yield. Seen by the Kaatkarai appan's Nethira eyes, the yield was very high and because of this, the bananas are named as "Nethiram Pazham". The Golden bananas which are dedicated towards Kaatkarai appan lost one day and the king on hearing this, blamed for the lost on a Yogi, who doesn't know anything about it. He punished the yogi and treated him badly. 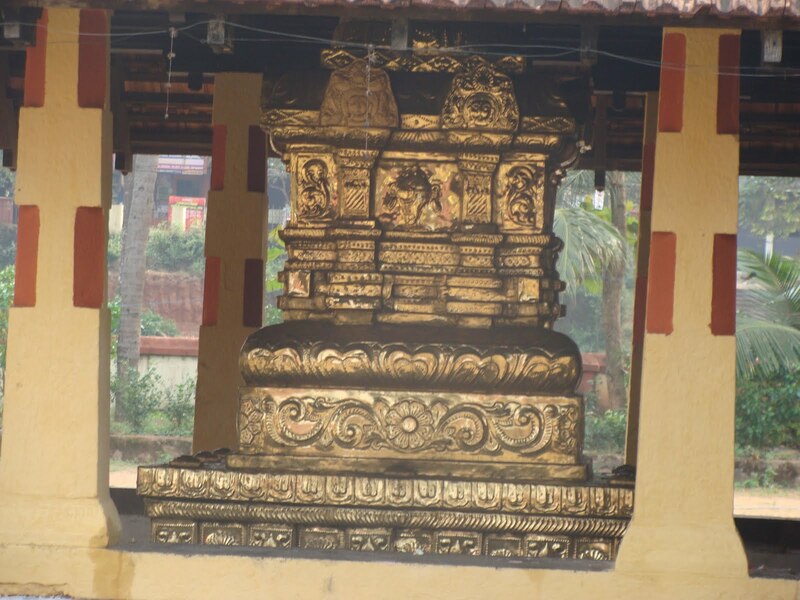 But, the golden bananas were found inside the Garbhagriham of Moolavar sannadhi. On knowing this, the Yogi got angry and gave the sabham for the time, since he was caught as the thief only because of the time and after giving the sabham, he suicided and dead. But, his soul doesnt leave the world but it turned into a Brahma Raatshasan and roamed in the world. 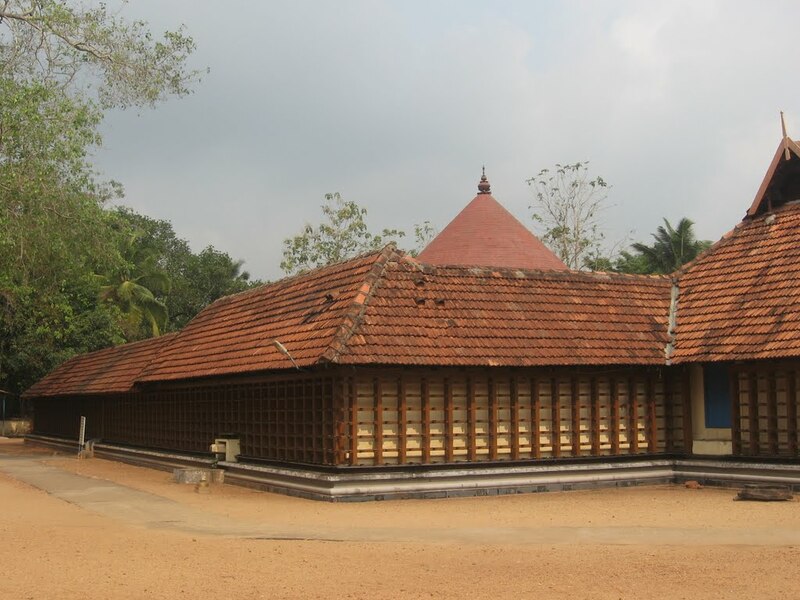 To get out of the Sabham, as suggested by himself (the Yogi who is in the form of the Raatshasan), constructed a bamboo roof and destroyed it using the fire in this sthalam and thereby from the bright fire that comes out from the bamboo would ride away the sabham of the Yogi. After this, they all did the same thing suggested by the Yogi to rid away the curse known as sabham. As a result of this, a small temple was constructed for the Yogi and daily poojas are done to make him cool. This is one of the purana (older) history told about this sthalam. Festival: Onam festival is observed in a grand manner in the month of Avani (September-October) for 10 days which in the past was celebrated for 28 days. 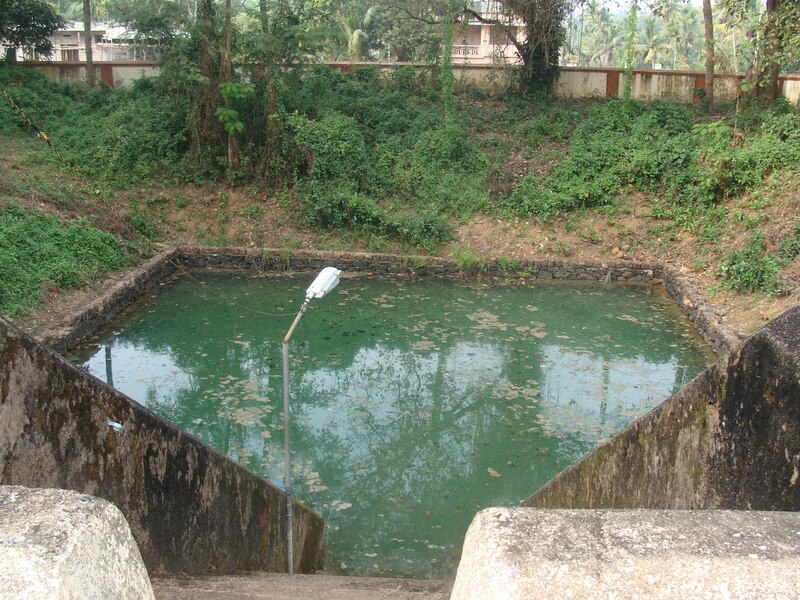 This Divyadesam is situated in a small village which is found next to Ernakulam in Kerala state. 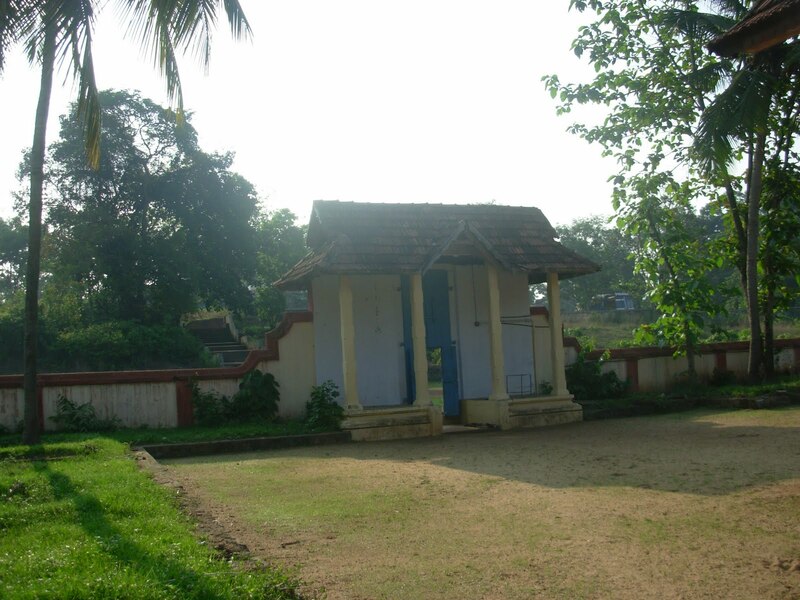 It is close to Idappalli. when going in train, we have to get down in Irugnalakkodi railway station, which is on the railway lane between Aalvaai and Thirucchoor and if we get down in Angamaali railway station, we can reach this sthalam by travelling about 9 miles through North east direction. There is no lodging facility. So, bhaktas can stay in Ernakulam to get the seva of the perumal.